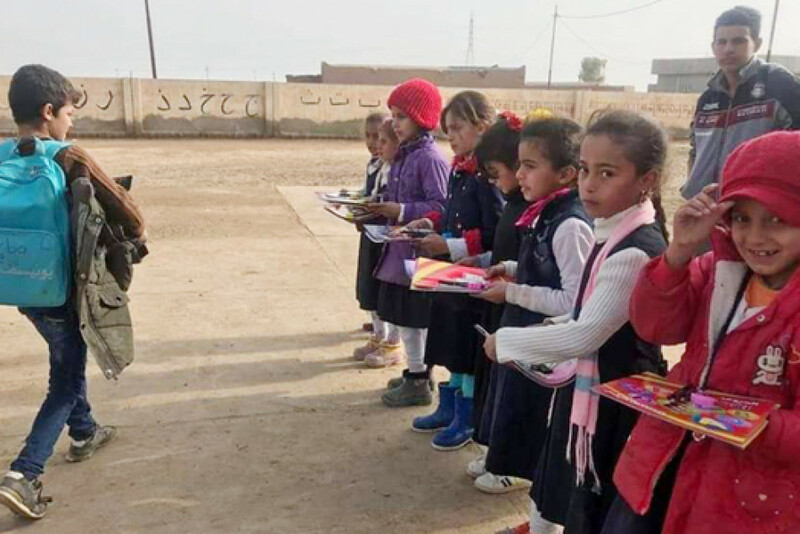 The Iraqi government has been neglecting challenges facing the education process in Kirkuk’s southwestern district of Hawija. Teacher shortages, lack of school supplies and the ongoing security instability in the area have affected this sector. Many school started to reopen in Hawija and its surrounding areas in early 2018, a few months after the town was retaken from the Islamic State (IS) militants, yet there still are many issues that need to be urgently dealt with. The sporadic attacks which occur in Hawija and its environs is another major factor setting back the process. At the start of the current school year, 2 teachers were killed in a roadside bomb attack. Amir Mahmoud Khalaf, principal of Tasami School in Abbasiya, another sub-district of Hawija told KirkukNow, “The majority of the schools which were completely destroyed or heavily damaged during the fighting have not been rehabilitated by the government. The roadside bombs and landmines planted by IS on roads leading to the town pose another threat to the lives of teachers coming from outside Hawija”. He also referred to the lack of school supplies. “My school has 250 students and most of the subjects are taught by substitute teachers, as many of our teachers who were displaced are unable to return because their homes were destroyed, said Amir. Hawija is 55 km southwest of Kirkuk. In June 2014, Hawija and its surrounding areas were overrun by IS, which taught children religious extremism and violence instead of their original curriculum. The town was recaptured by Iraqi forces in October 2017.